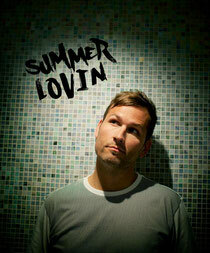 Marquee Nightclub & Dayclub in Las Vegas recently announced Summer Lovin’ with Kaskade, a residency for 2013 which will bring the GRAMMY-nominated DJ to the venue for 24 performances over 16 weeks during the spring and summer seasons. For 12 weekends, from May through August, Kaskade brings his sound to Marquee, in what should be some top parties for the top venue. Each performance will feature an enhanced, all-new custom visual experience, creative performances and extensive décor both day and night in the only Las Vegas club built specifically for the electronic dance music genre, which boasts a state-of-the-art sound system featuring 32,000-watt subwoofers and the highest grade commercially produced lasers available.